MSRP or Price does not include $380 in destination charges. 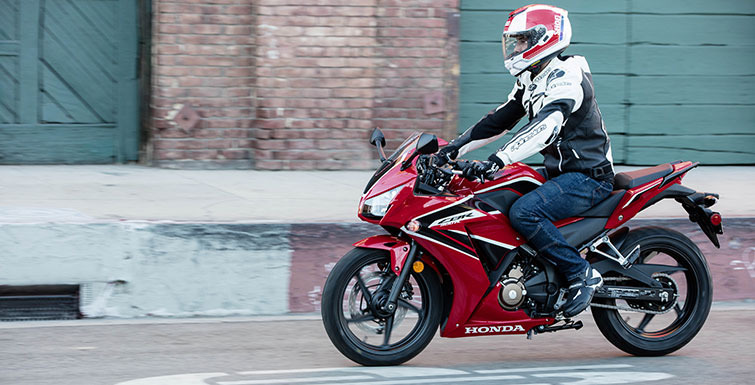 Whether this is your first bike or you have a garage full of them, Honda’s CBR300R is a blast to ride. Its single-cylinder engine offers excellent fuel efficiency, and is narrow so it’s easier to sit on the bike and get your feet on the ground. It has capable power and it’s one of the most maneuverable bikes we’ve ever designed. In town, the CB300R is plenty of fun–but where it really comes alive is twisty roads that make the most of its light weight and nimble design. 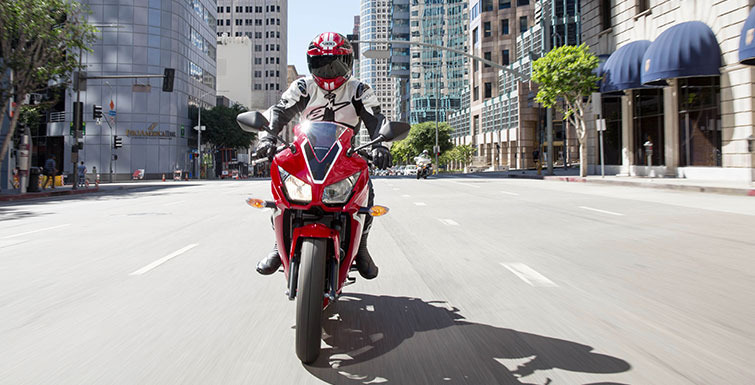 PASSENGER READY: A separate passenger seat, integrated grab rail and standard passenger footpegs mean you can take a friend along when you go riding—another example of the CBR300R's versatility. UNDER-SEAT STORAGE: Removing the rear passenger seat provides a lockable area to throw a map, gloves or a spare set of sunglasses. 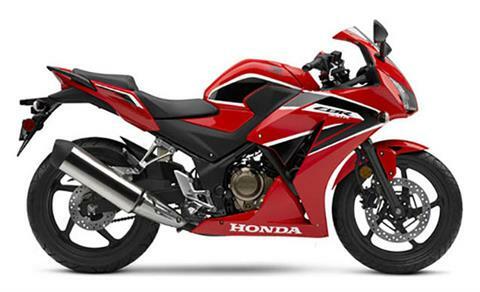 PRO-LINK® REAR SUSPENSION: The CBR300R uses a single-shock preload-adjustable rear suspension that not only gives you a smooth ride but helps enhance handling as well, like some of our larger sport models. 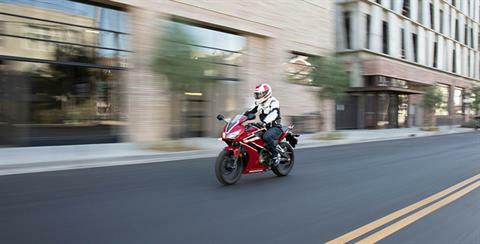 COUNTERBALANCE SHAFT: Because it features a counterbalancer, the CBR300R engine is a smooth runner. 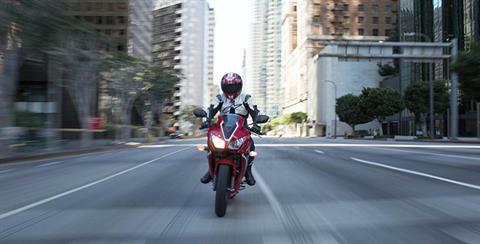 You get the narrow overall width and power advantages of a single along with the smoothness of a multi-cylinder bike. SINGLE-CYLINDER ENGINE: A single is the perfect choice for a bike like the CBR300R. It's light, simple, fuel efficient and features a broad powerband with plenty of low-revving torque—just what you want in your first motorcycle, but geared for comfortable cruising at highway speeds. FUEL INJECTION: Fuel injection means the CBR300R starts right up, even in cold weather. Compared to a carbureted bike, it also helps reduce emissions and enhance performance and fuel efficiency. SUPERSPORT STYLING: The CBR300R features full-cowl Supersport styling and dual headlights, increasing aero efficiency and carrying the styling cues from our CBR-RR series. ANALOG / DIGITAL INSTRUMENTATION: The CBR300R’s digital gauges with analog tachometer provide vital riding information in a styled, hi-tech instrumentation package featuring digital speedometer, fuel gauge, coolant temp, tripmeter / odometer and clock. 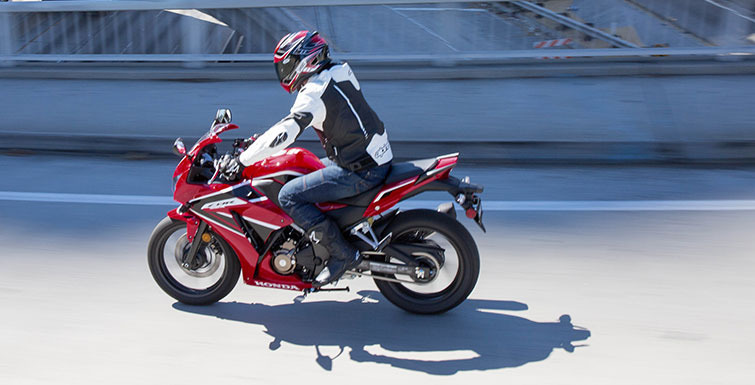 DISC BRAKES: The CBR300R features a 296 mm front and 220 mm rear hydraulic disc for excellent stopping power and brake feel. 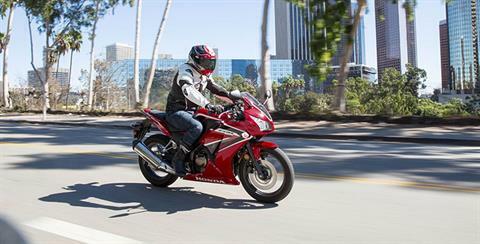 NARROW SEAT & LOW SEAT HEIGHT: A low 30.7 inch seat height does more than help make sure the CBR300R fits a wide range of riders. It makes it easier to put your feet down at stoplights and in parking lots—a big confidence builder. Emissions - Meets current EPA standards. California version meets current CARB standards and may differ slightly due to emissions equipment.